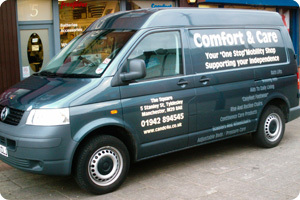 ARE you in need of a bit of Comfort and Care? If so, then look no further than Rick and Gill Toner’s ‘one stop mobility shop’ at 17 - 19 Stanley Street in Tyldesley, and also here on the internet. 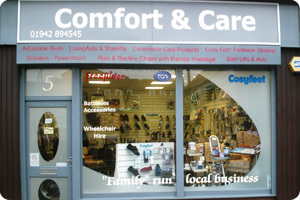 Established in 2006, Comfort and Care is a subject close to the hearts of the husband-and-wife team, who gave up their careers to help make life a bit easier for those who struggle with mobility in the local area – and beyond. The couple have lived in Tyldesley since 1990, and decided to set up the company after Gill’s mum had an accident, and realised there was an obvious lack of products and advice locally that would enable her life to be easier in and around the home. Their customer base is a mix of local people and a growing number from out of the area with a varied age range of 3 to 103 years of age! 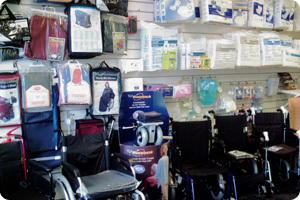 Supplying everything from ferrules for walking sticks to bespoke electric beds - shoes that are comfortable as well as modern, in width fittings you can’t find in high street shops – stairlifts, wheelchairs and power scooters, including servicing and accessories, a must for anyone who has mobility problems and wants to get about independently, a large range of continence products, walking sticks, frames and aids to daily living, such as bath boards, rails, reachers, magnetic therapy products, and much, much more. As a first step, you will always be advised to discuss your requirements with your GP or medical professional. 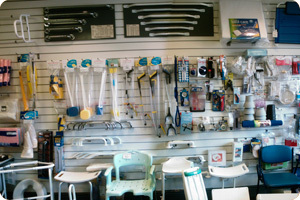 Then they encourage you to pop into their showroom on Stanley Street, next to the Library in the centre of Tyldesley with friends and family, browse through their website, or give them a call and they will go through the number of alternatives available across the different ranges and prices. They also provide a free, no obligations visit in the comfort of your own home and help assess your needs and offer their advice. From a walking stick to a bespoke Rise & Recline chair they will make sure it meets your specific requirements. What ever your mobility needs, they will endeavour to provide it too you. 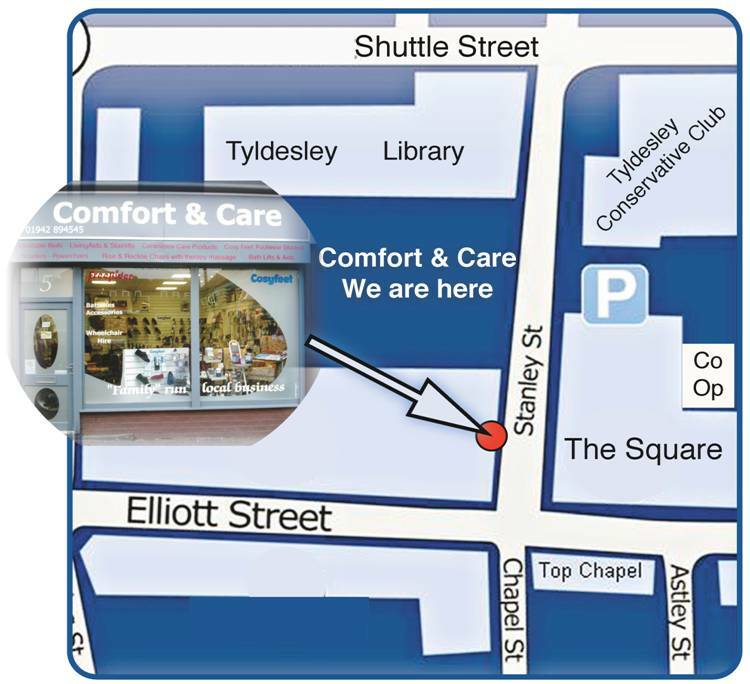 To anyone who has, or knows someone who has difficulty with mobility, a visit to their showroom on the square in Tyldesley or the internet is highly recommended. 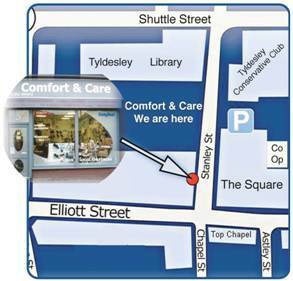 The ethos behind Comfort and Care is to offer a friendly and helpful service with the best products available together with a policy of fair pricing, helping to support your independence. If you cannot find what you are looking for rest assured they will do their best to find it for you. Comfort and Care are proud members of The Good Trader Scheme and have received in 2009 an award by Wigan Trading Standards for excellence in Customer service. To Contact them click Here.